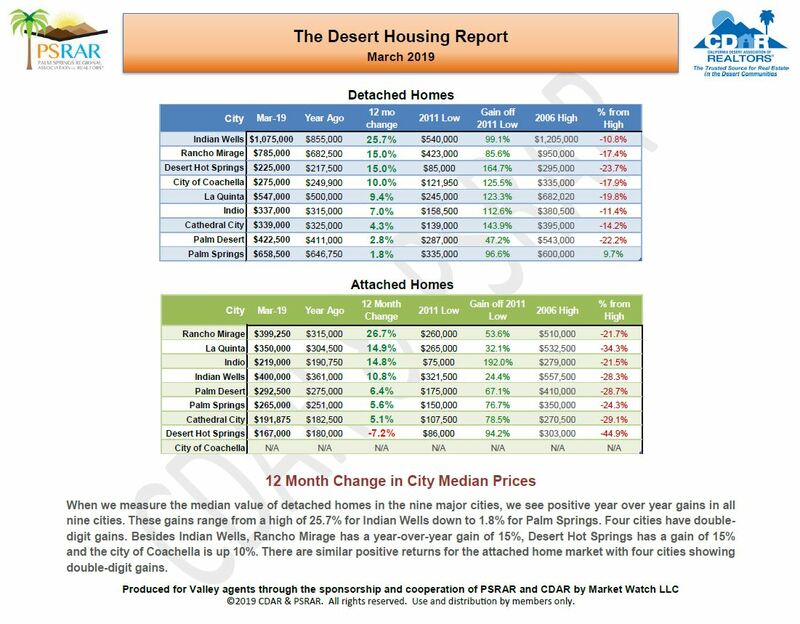 I am pleased to share a summary of March 2019 Desert Housing Report. Appreciation has slowed down and the median detached home price ended at $415,000 for the month, up 5.9% over last year. Cathedral City showed a gain of 4.3%, Palm Desert is up 2.8% and Rancho Mirage a whopping 15%. Palm Springs was at 1.8%. Three months sales of detached homes were down only 6.9% while sales for attached units (condos) were down 16.1% compared to a year ago. We expect long-term sales to average approximately 10% units less than 2018. The unexpected drop in the interest rate that occluded in February and March may upset this forecast. Ten of the eleven cities in the Coachella Valley have lower 3-month sales compared to a year ago, while one, the city of Coachella has the same number of sales a month. Bermuda Dunes has the largest decrease in sales at 37.5%. This is followed by Cathedral City off 22.7% and Rancho Mirage off by 20%. Indio Sale are down 7.8%, La Quinta has sales off by 13.5% and Palm Desert sales are off by 8.2%. Sales in the city of Palm Springs are down only 2% from last year. 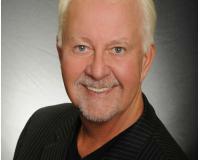 Inventory of homes for sale on April 1st was 3,772 units. This inventory is the lowest level it’s been for the last five years. It remains a “Sellers” Market. The current balance of supply and demand is almost identical to what it was a year ago. There is a slight increase on the average number of days on the market from 66 days last March to 70 days today. If you have any questions or concerns please let us know. If you are considering selling give me a call and we can meet to discuss today’s market and projections over the next several months. If you know of someone looking to buy, sell or invest in our Desert or any other destination worldwide we can be of service. Simply a call 760-770-1555.